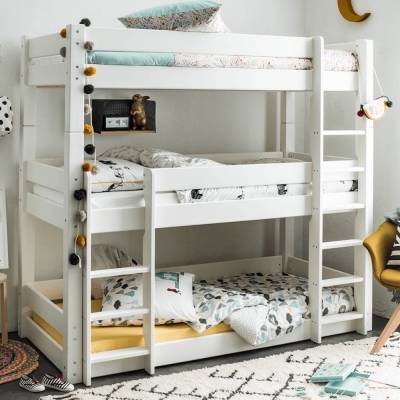 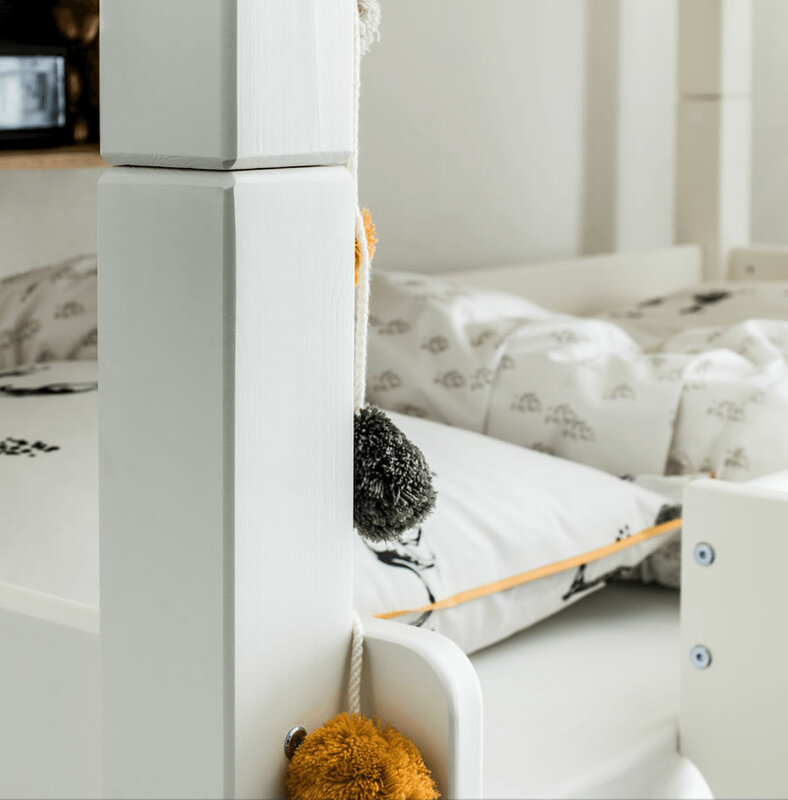 The Flair Furnishings Scandinavia triple bunk bed in a modern white finish is made from Scandinavian pine and features extra thick posts for a sturdy construction. The triple stack design offers two ladders each with grooved steps for extra grip to prevent slipping, the ladders are fixed position with a three step ladder for access to the middle bunk on the left and a six step ladder for access to the top bunk on the right. 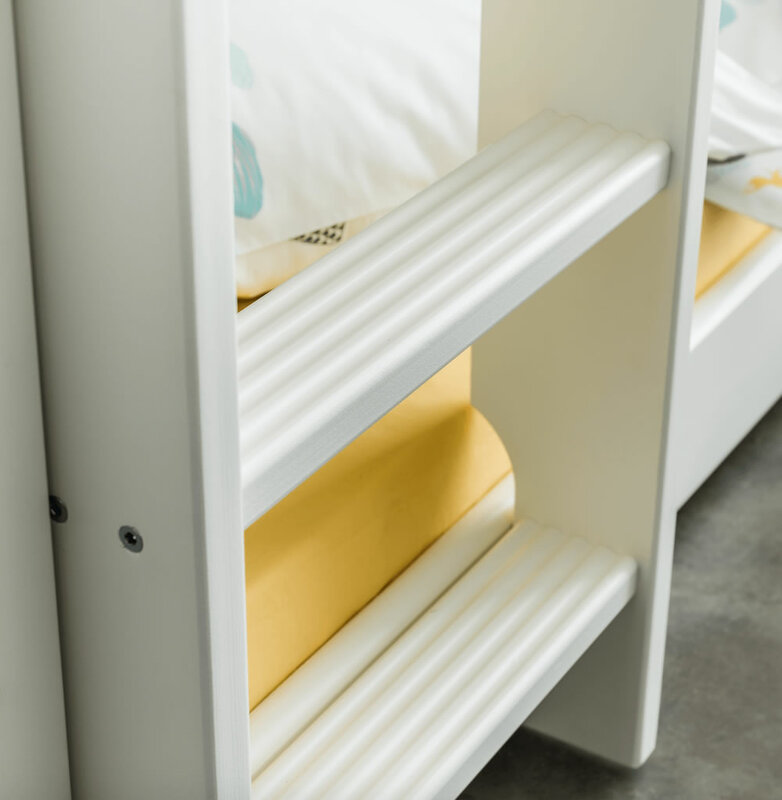 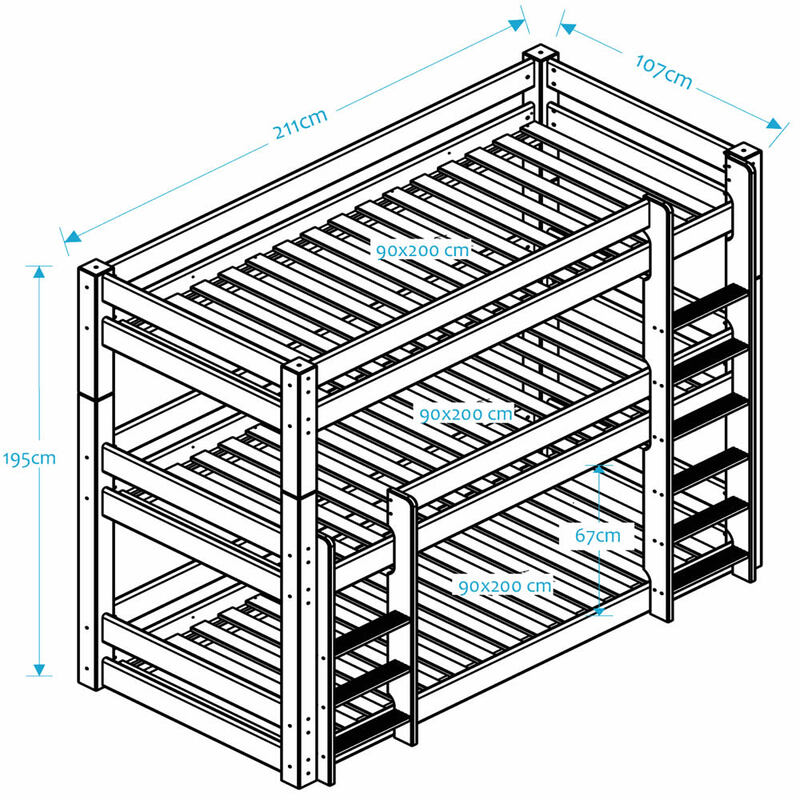 All three bunk beds are designed for use with a single continental mattress no more than 16cm in height for safety.